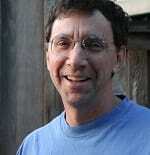 John Markoff joined The New York Times in March 1988 as a reporter for the business section. He now writes for the science section from San Francisco. Prior to joining the Times, he worked for The San Francisco Examiner from 1985 to 1988. Markoff has written about technology and science since 1977. He covered technology and the defense industry for The Pacific News Service in San Francisco from 1977 to 1981; he was a reporter at Infoworld from 1981 to 1983; he was the West Coast editor for Byte Magazine from 1984 to 1985 and wrote a column on personal computers for The San Jose Mercury from 1983 to 1985. He has also been a lecturer at the University of California at Berkeley School of Journalism and an adjunct faculty member of the Stanford Graduate Program on Journalism. The Times nominated him for a Pulitzer Prize in 1995, 1998 and 2000. The San Francisco Examiner nominated him for a Pulitzer in 1987. He is married to Leslie Terzian Markoff and they live in San Francisco.